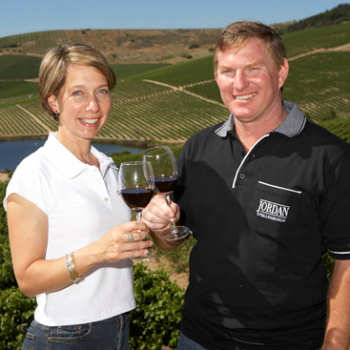 Stellenbosch producer Jordan Wine Estate has set up a scheme to support women, both in the UK and South Africa, who want to pursue a career in wine. From 2013, the Jordan Wine Estate Women in Wine Initiative will sponsor the top female graduate from the UK’s Plumpton College for a two month harvest stint at the property. The visit will also include the opportunity to visit other wine regions of the Western Cape, with the added possibility of experiencing the on-trade end of the industry through the Jordans’ London restaurant, High Timber. In South Africa, the initiative will offer a “previously disadvantaged black female”, who is studying either journalism or marketing, sponsorship through their WSET Level 1-3 qualifications. There is currently talk of introducing the WSET Diploma in South Africa, in which case the sponsorship will extend to cover this as well. However, she also noted that, with annual per capita wine consumption in South Africa standing at just 7 litres, a large proportion of the country’s population remain primarily beer drinkers. Now, however, Jordan pointed out that the University of Stellenbosch oenology department has seen an almost equal intake of men and women for the last eight years. “That’s pretty good going in 20 years,” she remarked.